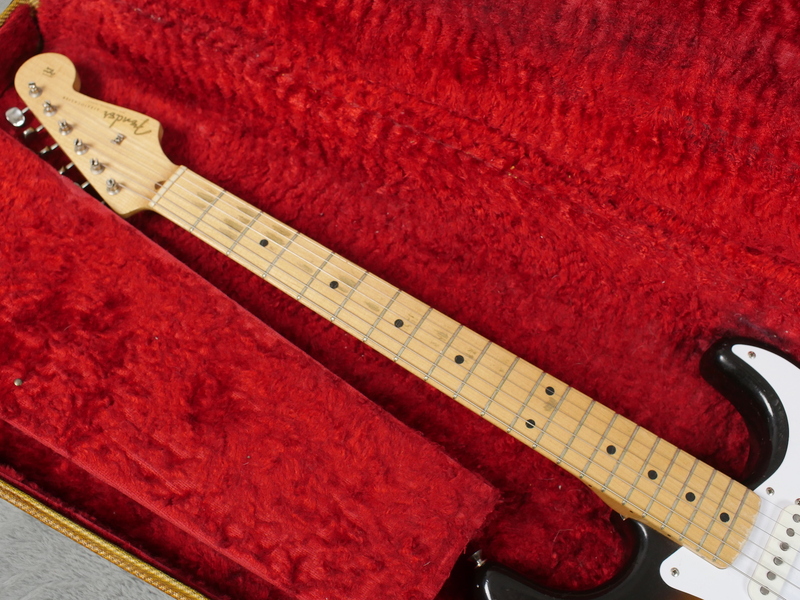 Here is something that is pretty rare. 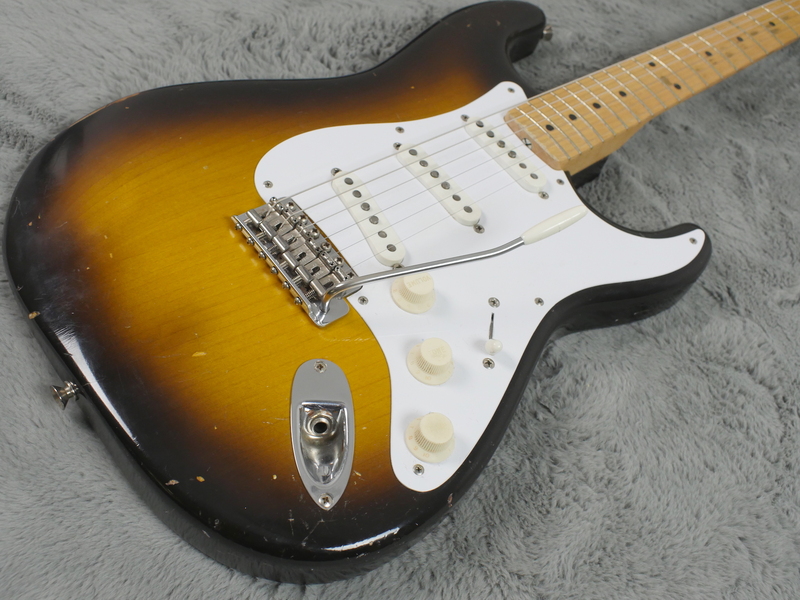 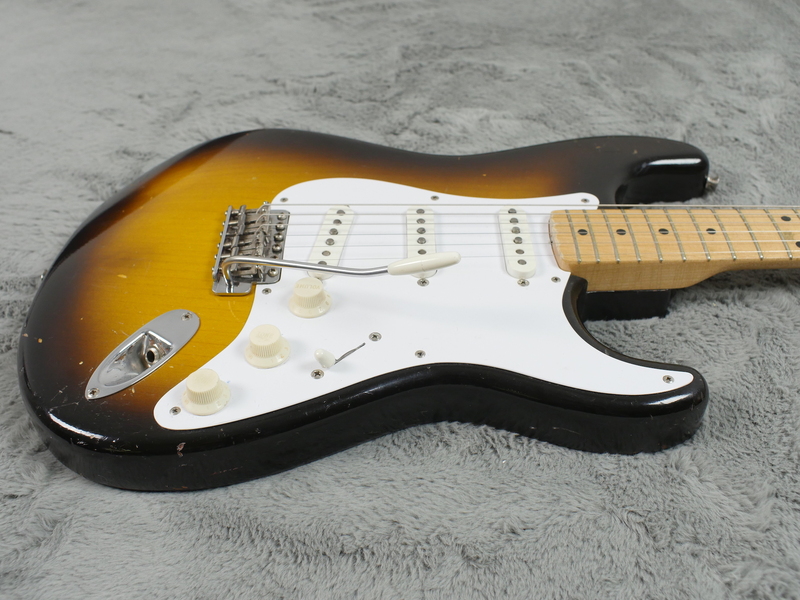 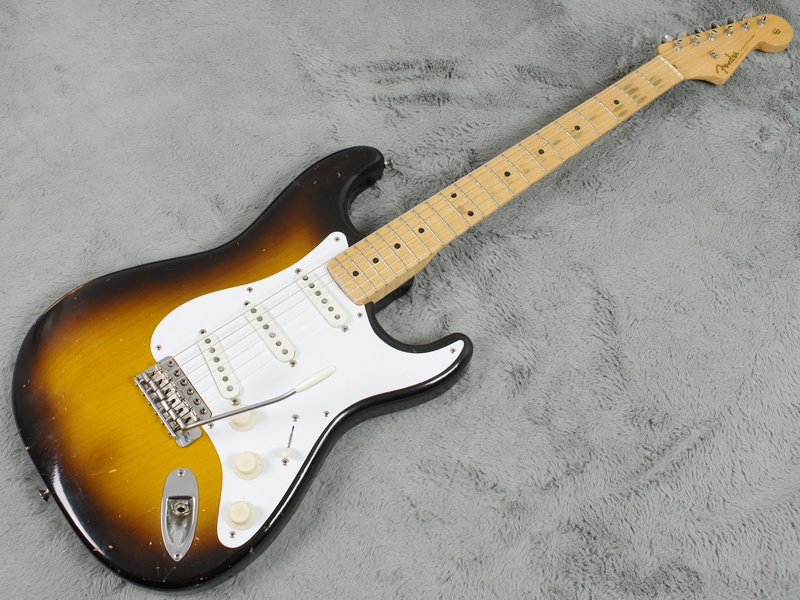 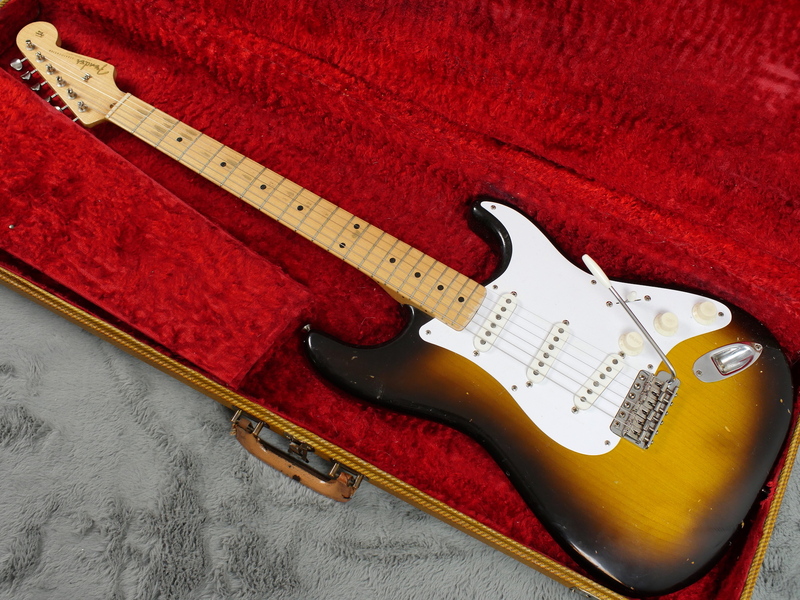 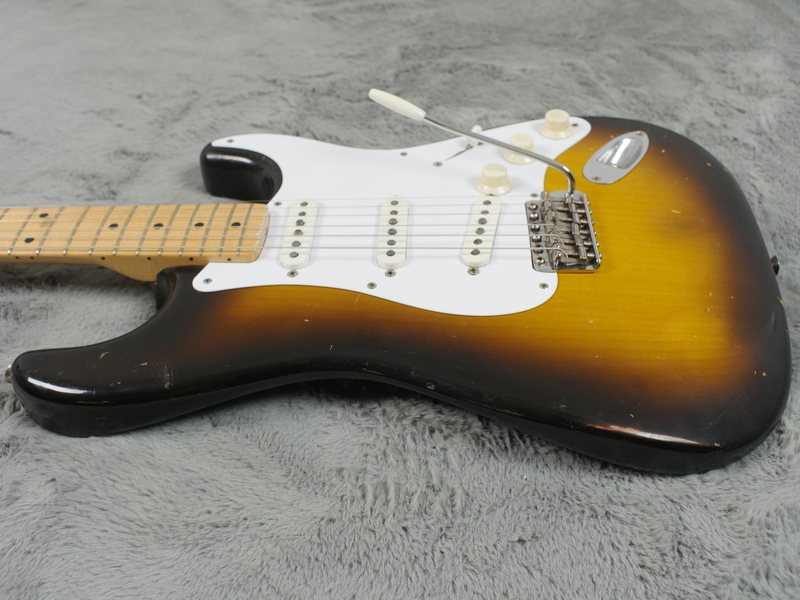 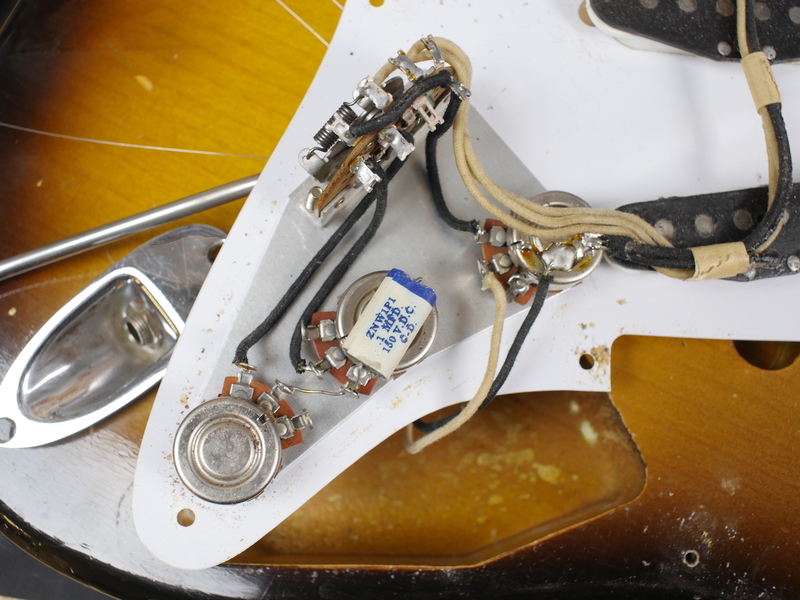 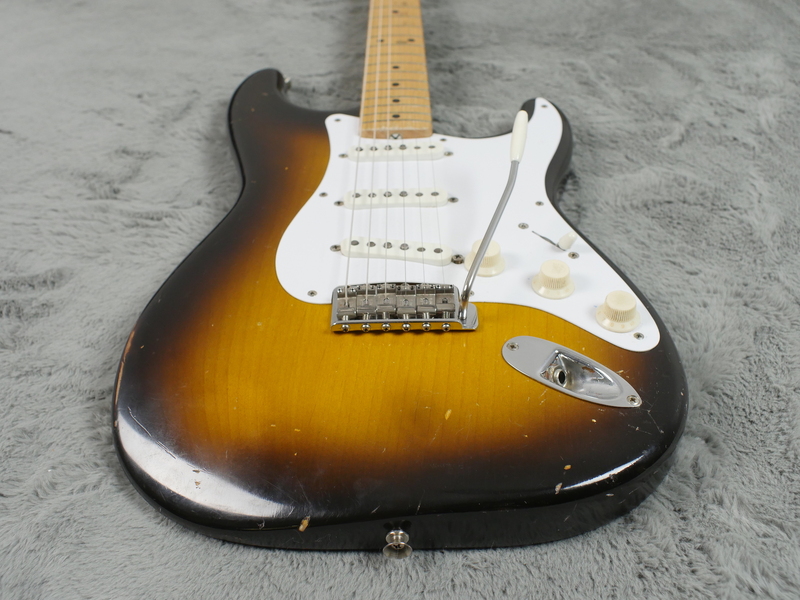 This is actually a Stratocaster with a body and neck date of January 1958 BUT has every single desirable feature of the 57 model year Strats so we are calling’s this a 57 Strat, that just sneaked into the first few weeks of 1958. 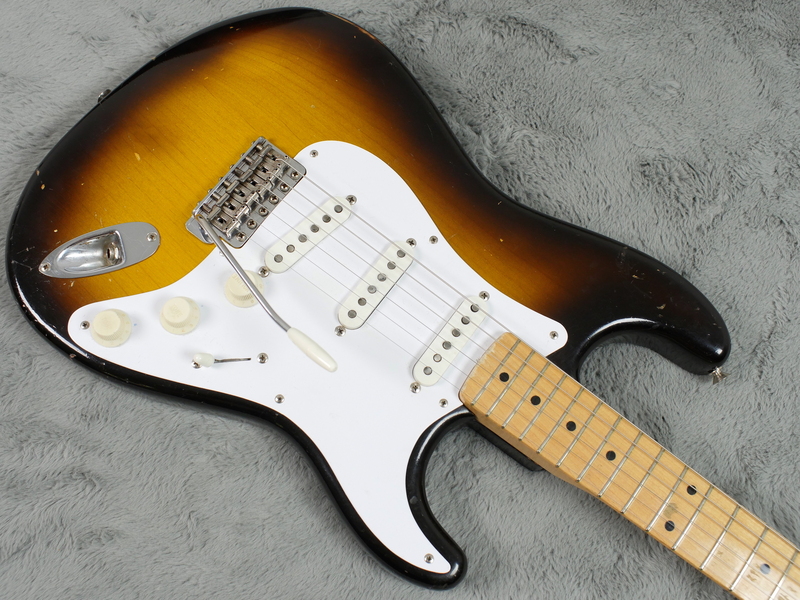 Everything about it screams 1957 including the faded two tone sunburst with no strong red (just like it was in ‘57), strong ‘V’ neck profile and most amazingly of all, an original ash body which means it must be one the the very last ash body Strats to finished in sunburst during the 50’s. 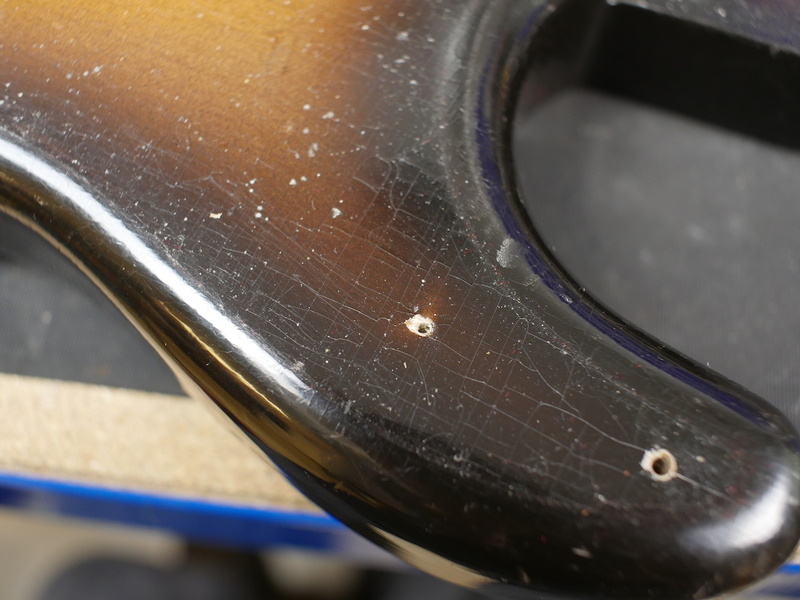 Again, you cannot see any of these unless you look extremely carefully or under black light. 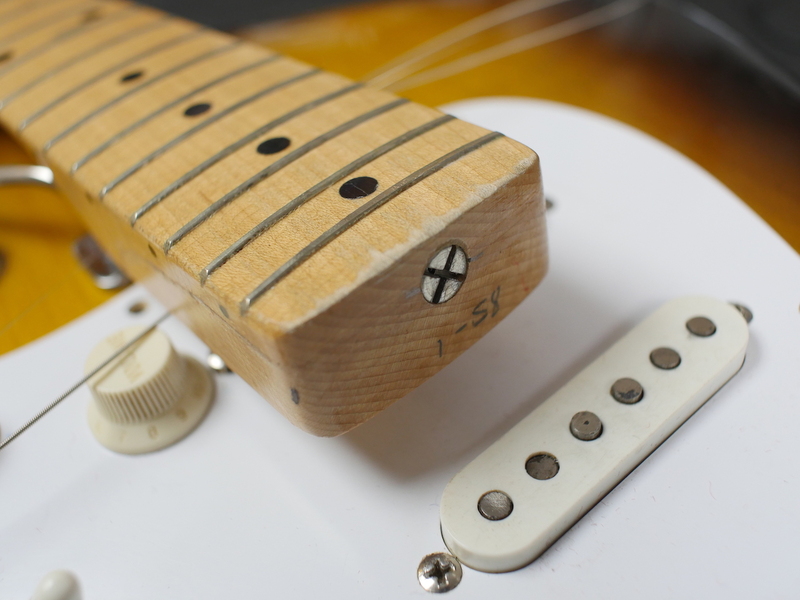 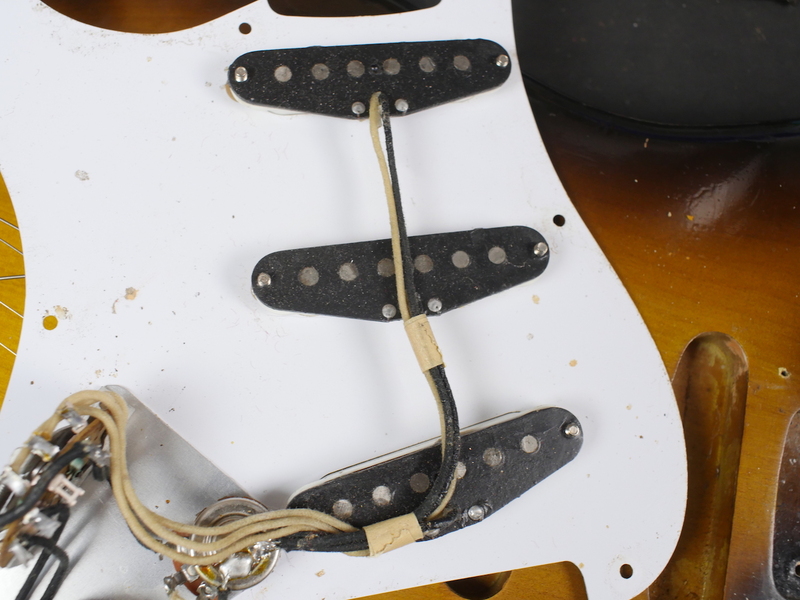 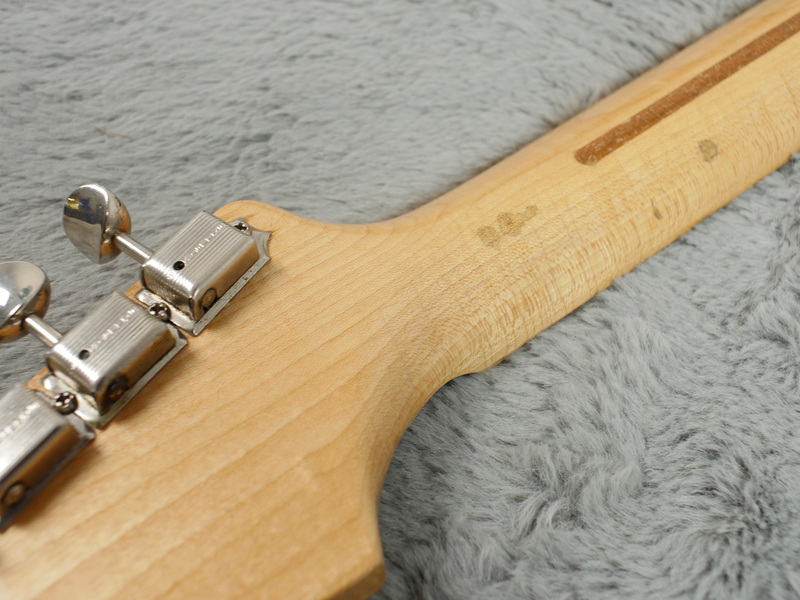 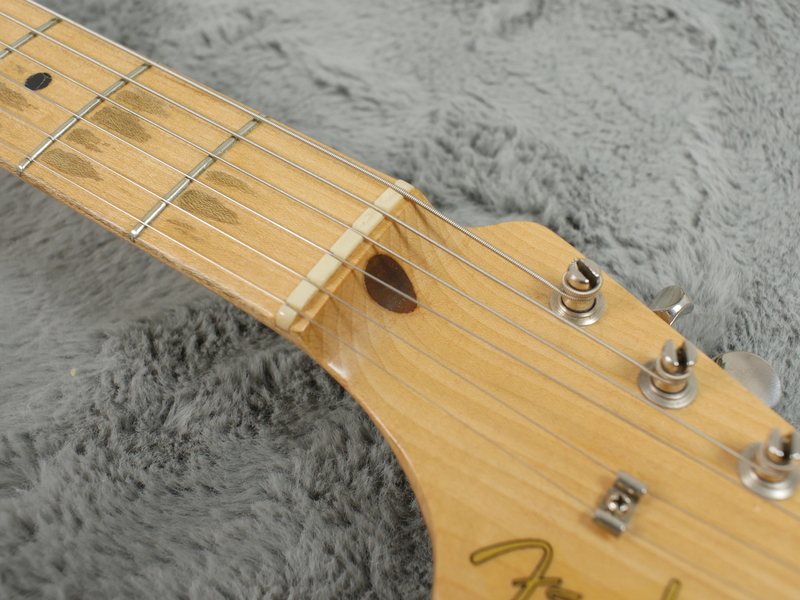 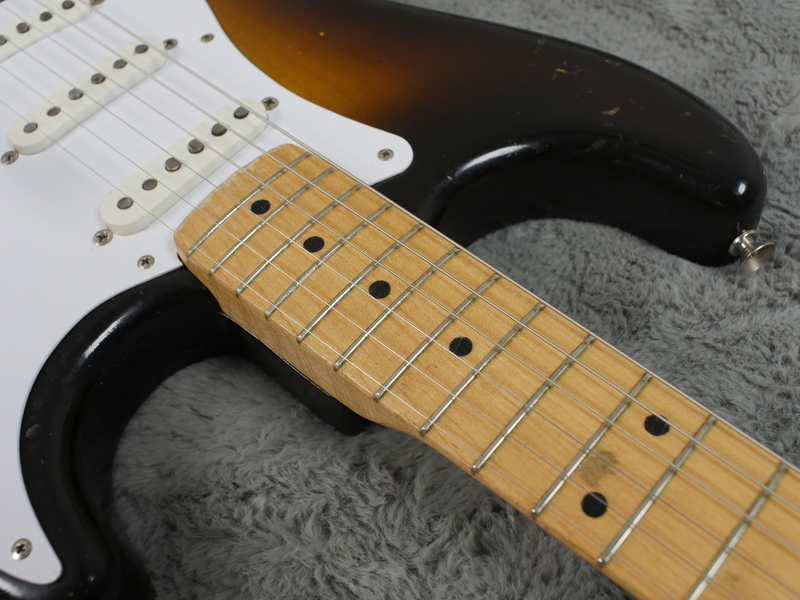 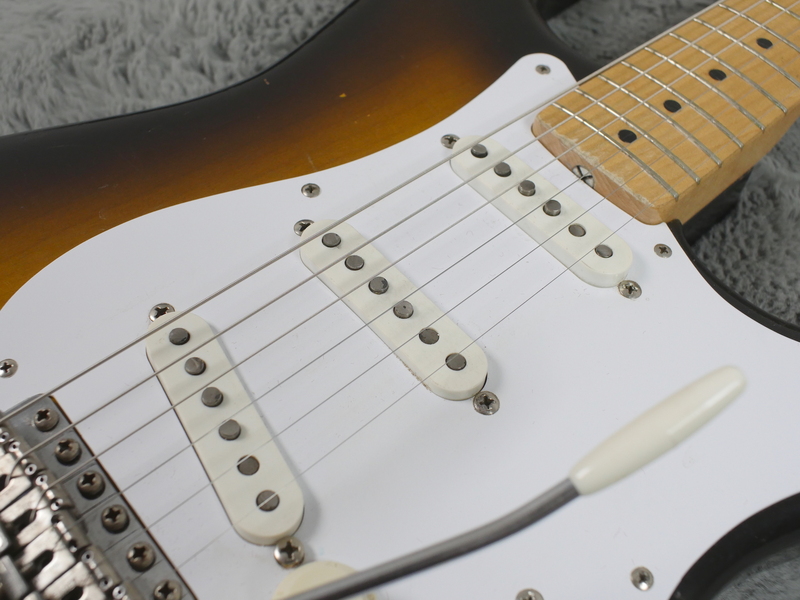 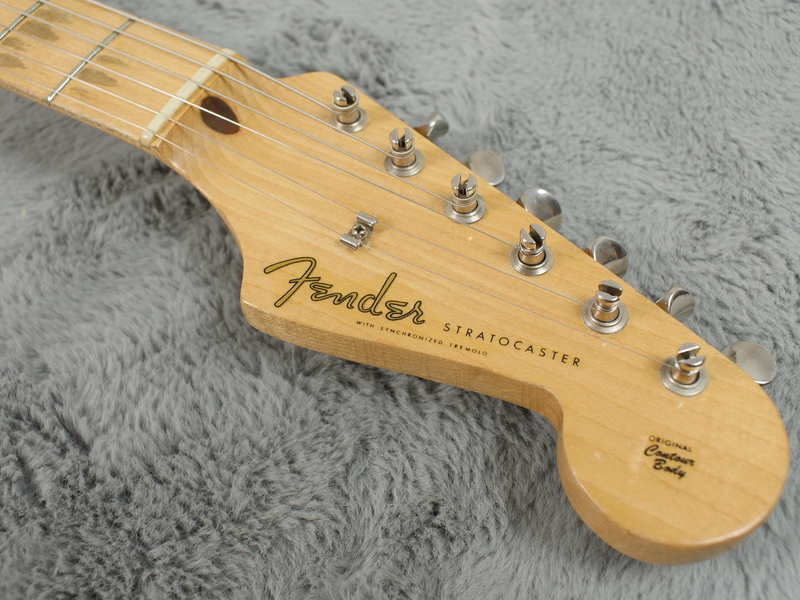 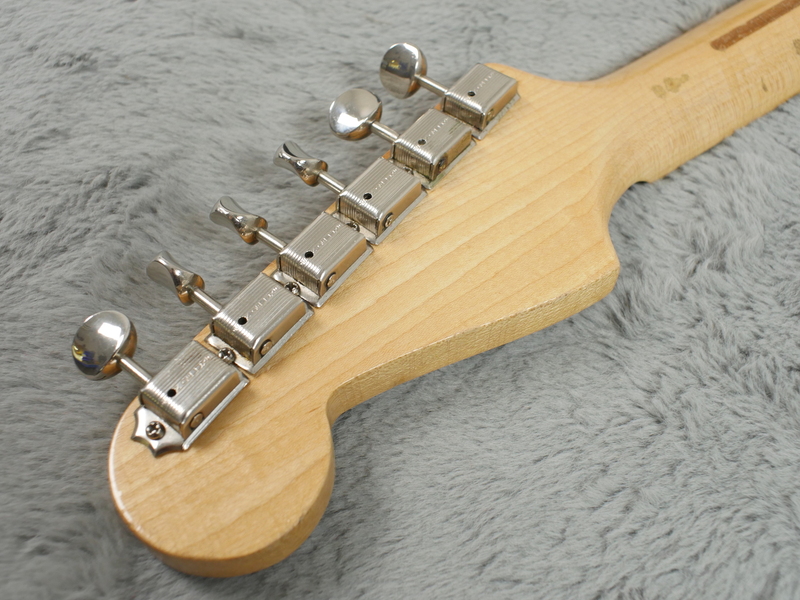 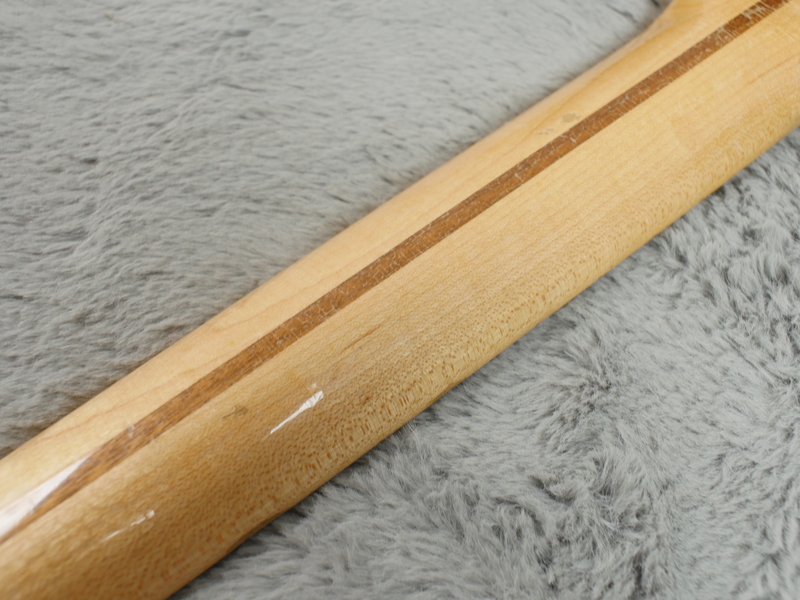 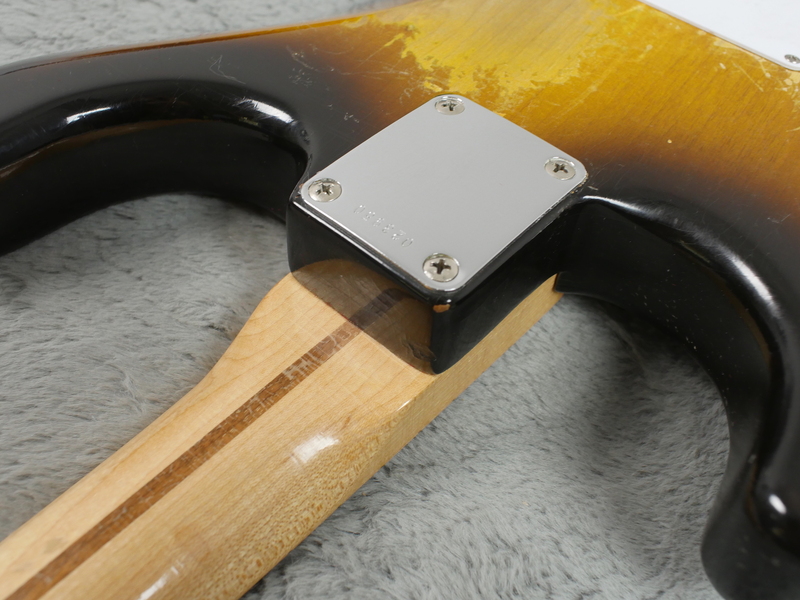 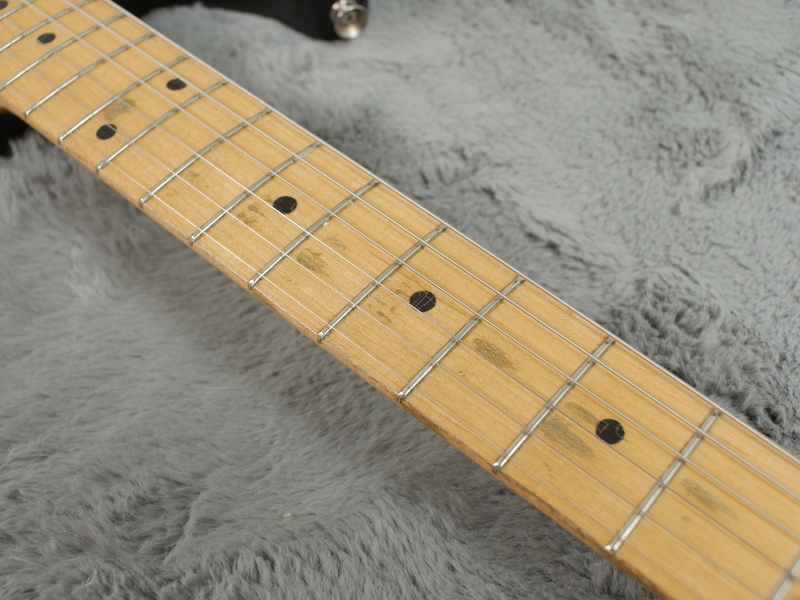 Neck has the all original finish with some nice figuring and frets that aside from some moderate wear on the lower reaches, are in very good shape. 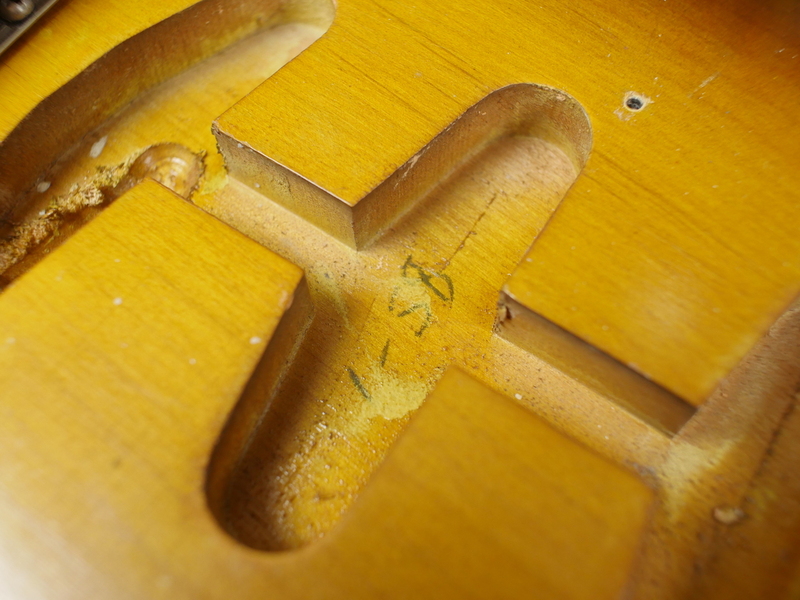 Back has not had any touch ups at all and shows some typical and natural buckle wear plus some fine scuff marks around the back edge. 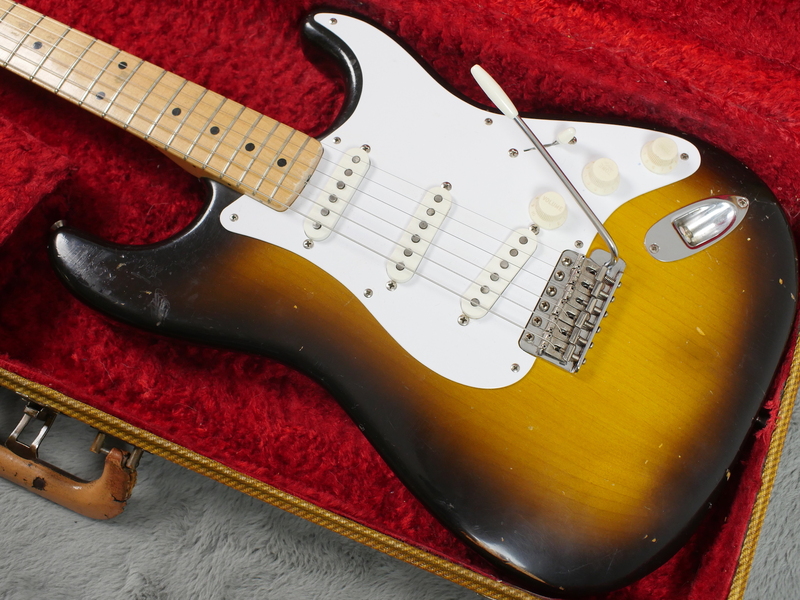 Aside from that, this superb guitar has correct hardware and all correct electrics including some beautiful sounding pre-CBS black bottom pick-ups and all three pots dated 23rd week of 1957. 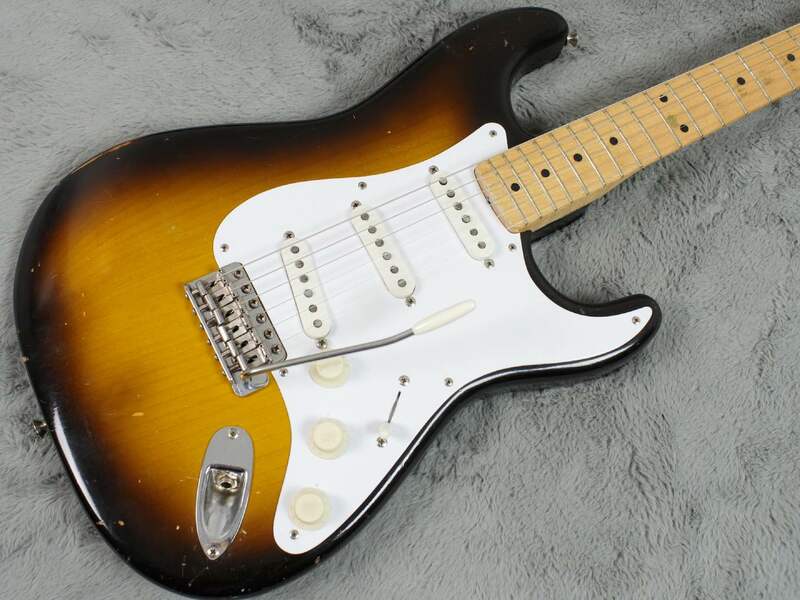 Body and neck are dated 1-58 and serial number is a late 1957 serial number prefixed by a ‘0’ Weight is a lovely 3.32Kg so it really is a joy to play. 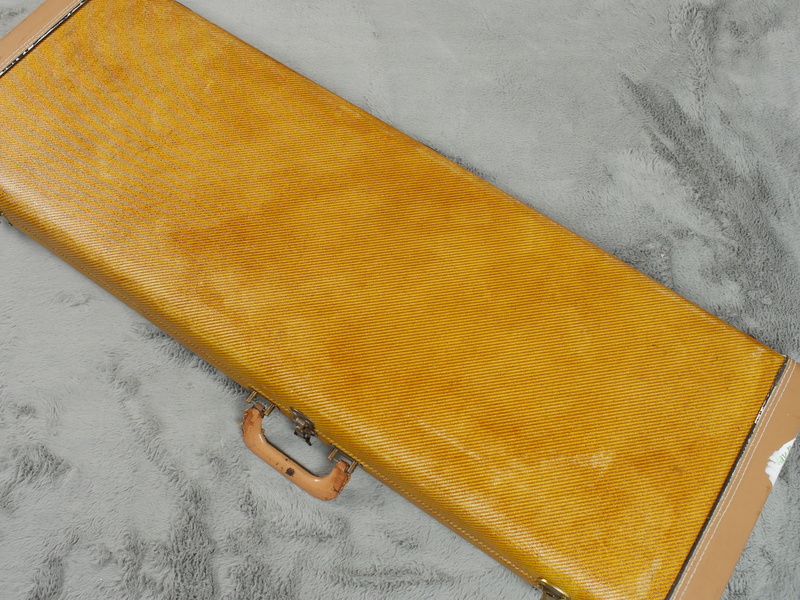 It comes with a totally correct, tweed case which looks to have had the leather end caps restored. 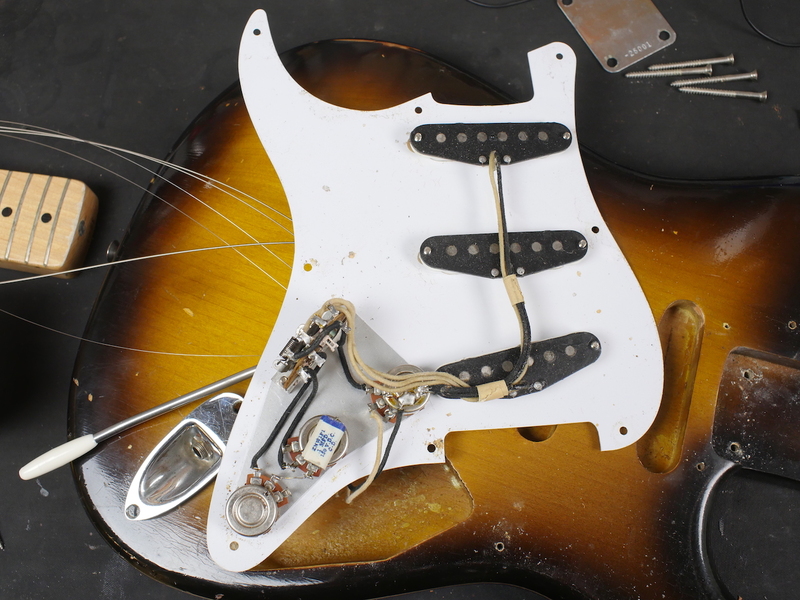 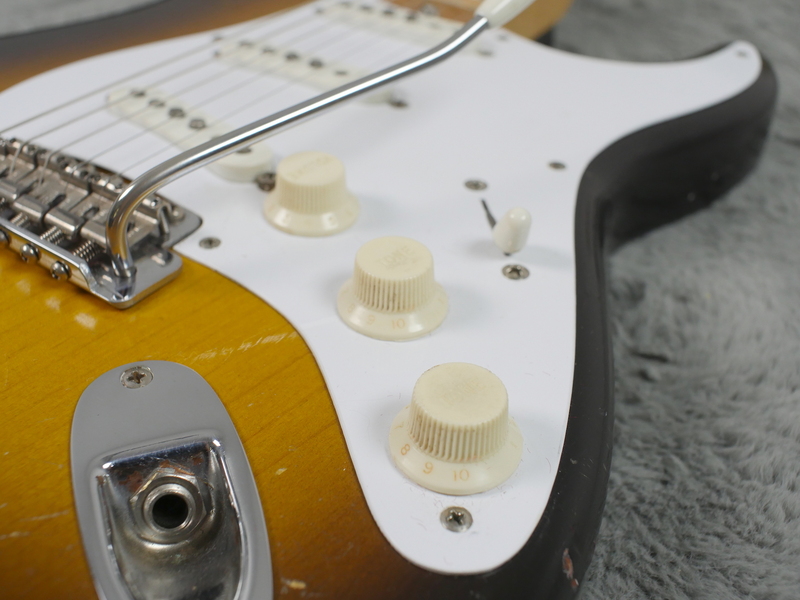 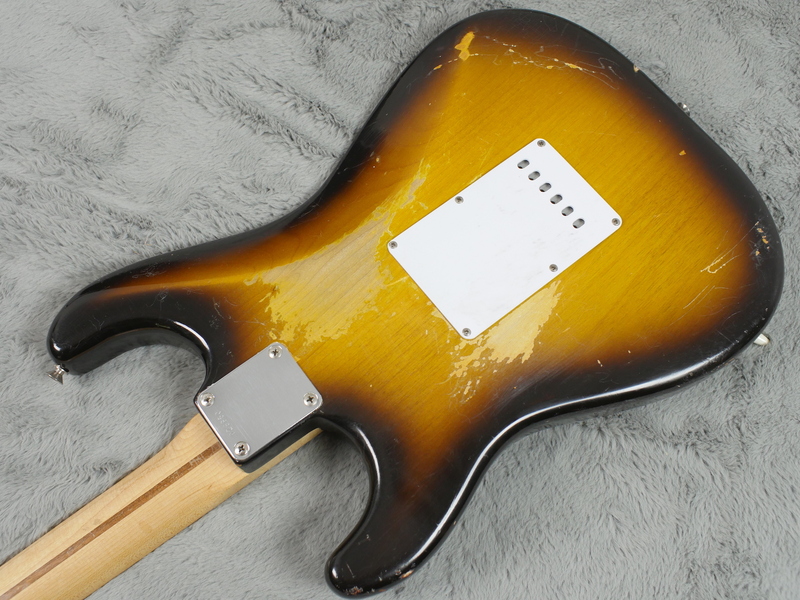 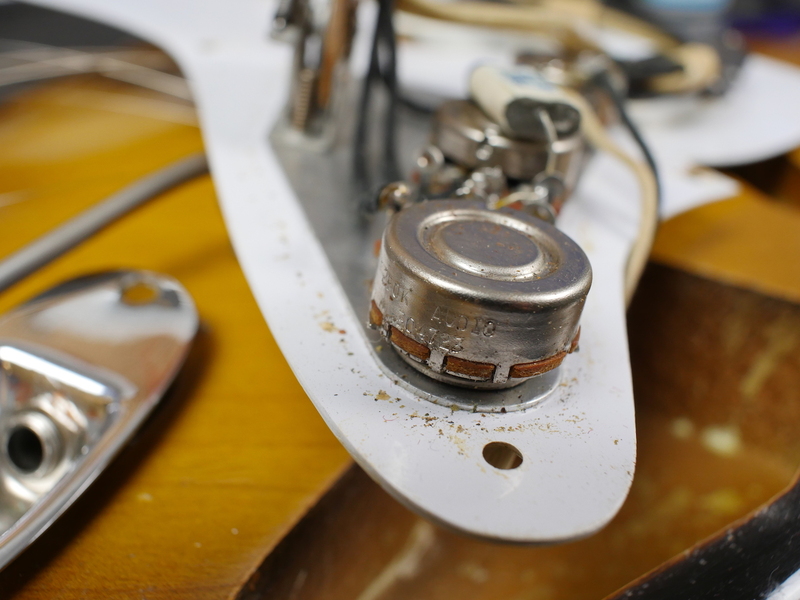 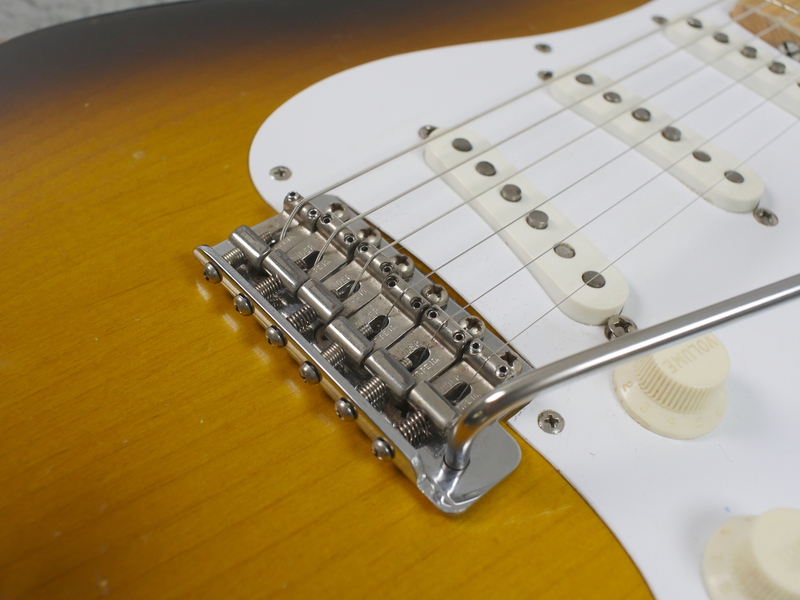 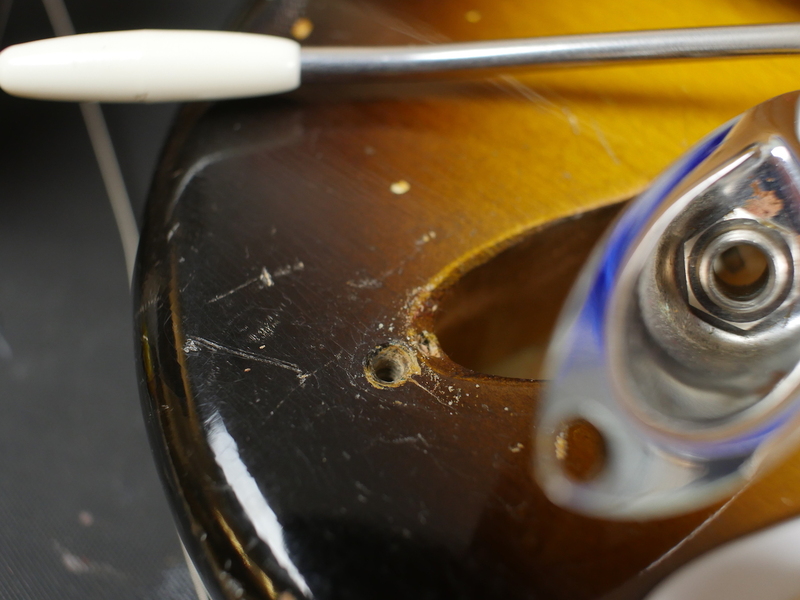 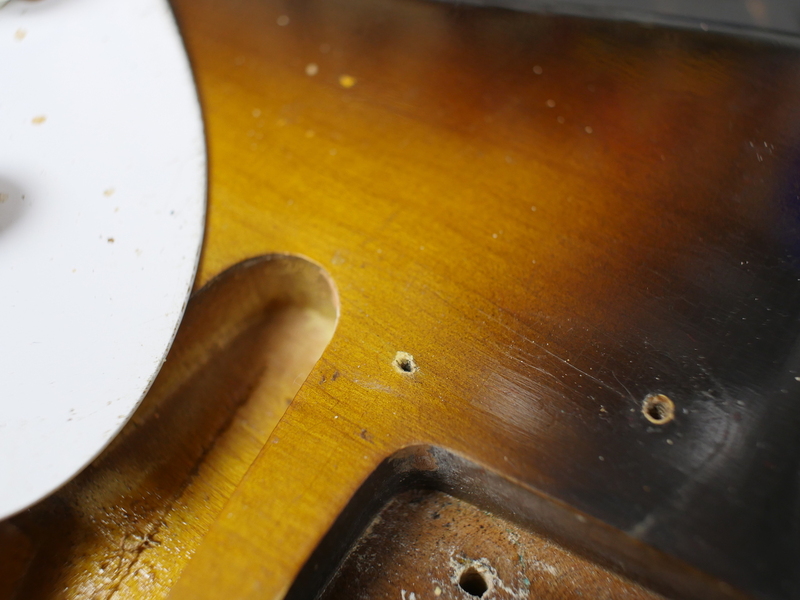 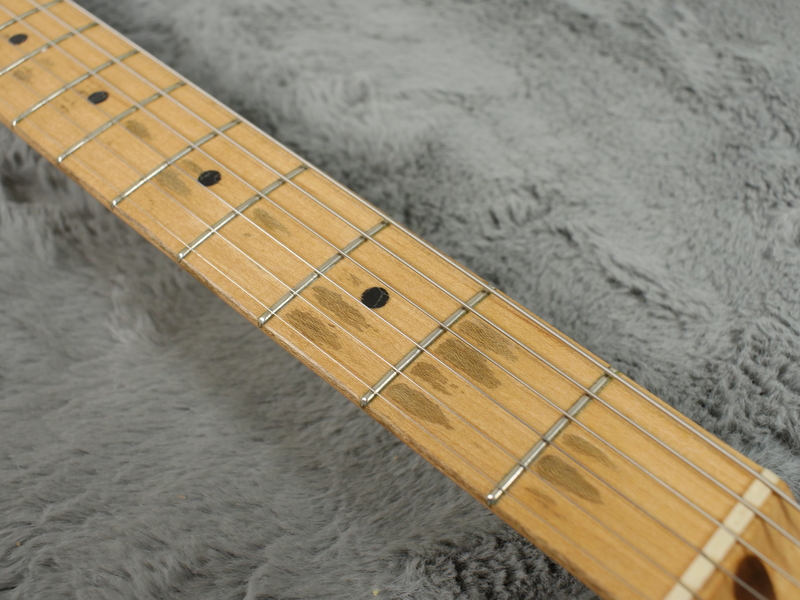 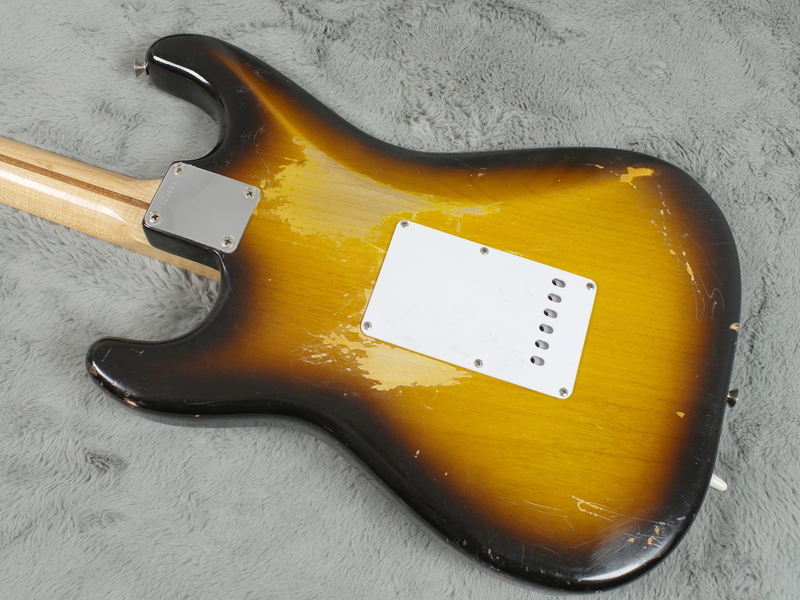 All nail holes, routing marks, tooling marks are present and correct and it is a superb guitar at a reasonable price due to the aforementioned touch ups.